Provide comfort for the family of Marion Reed with a meaningful gesture of sympathy. Marion L. (Hanson) Reed, 88, passed away on Sunday March 17, 2019 at the Crestwood Center in Milford. She was born in Nashua on March 25, 1930, the daughter of the late Roland and Roxy (Bishop) Hanson. Marion was a longtime resident of Hollis and attended Hollis schools. She later lived in Nashua for several years before eventually moving to Milford. In September 1966, she received certification to be a Nurse’s Aide and worked at Memorial Hospital (now Southern NH Medical Center) for over 15 years. On June 1, 1946 Marion was married to Robert R. Reed in Tyngsboro, MA. They resided in Hollis where they raised their two sons. Robert passed away on November 3, 2000 after 54 years of marriage. Marion enjoyed music. She loved to sing, especially gospel songs and she was an avid reader for many years. She enjoyed dining out, visits with her family, and watching Christian TV programs. Survivors include her brother, Robert Hanson from Murfreesboro, TN and her sister Shirley Groves from Fort Myers, FL; two sons, Dennis and his wife Brenda (Merrill) Reed and Barry and his wife Jane (Baldwin) Reed, all of Greenville. She is also survived by two granddaughters, Karen (Reed) Curfman and her husband Dan of Milford and Kim Reed and her companion Tim Powers of Milford and four great grandchildren, Timothy Webster of Nashua, Brian Muir of Running Springs, CA and David and Sarah Curfman, both of Milford. Marion was preceded in death by her brother, Roland Hanson, Jr. who passed away in 1970 and her sister Lillian (Hanson) Marvel who passed away in 1989. SERVICES: Calling hours will be held on Friday, March 22, 2019 from 7-9 PM at the Davis Funeral Home, 1 Lock St., Nashua. A funeral service will be held on Saturday, March 23 at 11 AM, also at the Davis Funeral Home. Burial will take place in the spring in the East Cemetery, Wheeler Rd., Hollis. 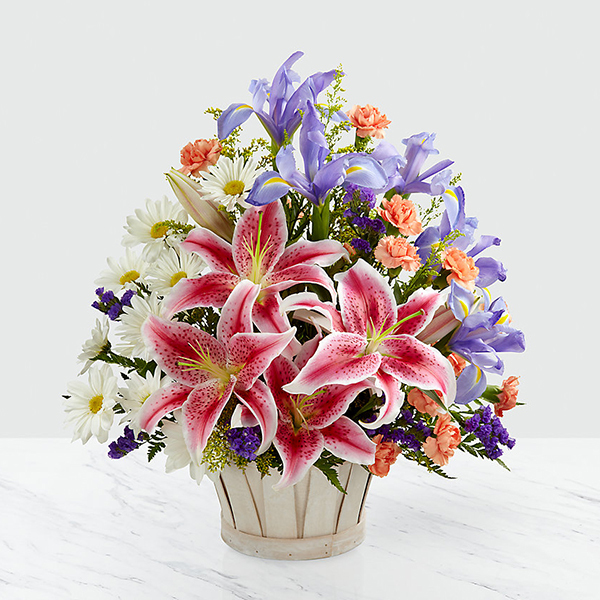 To send flowers to the family of Marion L Reed (Hanson), please visit our Heartfelt Sympathies Store. We encourage you to share any memorable photos or stories about Marion. All tributes placed on and purchased through this memorial website will remain on in perpetuity for generations. 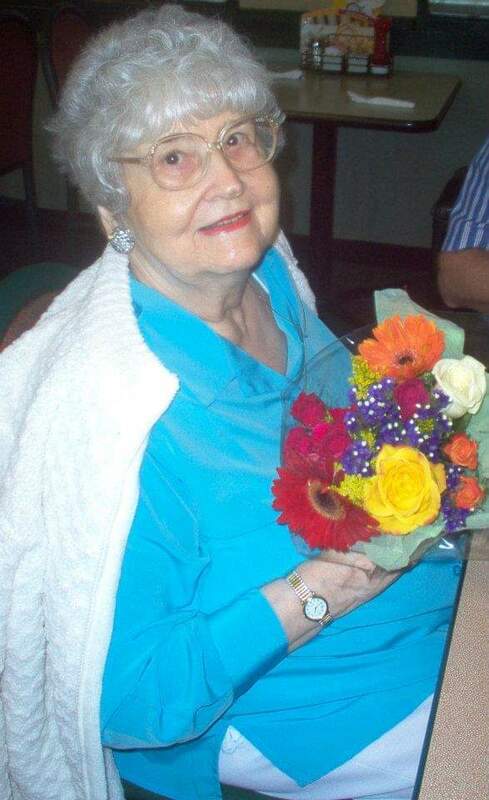 Debbie Reed sent flowers to the family of Marion L Reed (Hanson). Although I never met her, I felt like I knew her so well through her grand-daughter Kim. Enjoyed hearing things about her, they were always so precious. Debbie Reed purchased flowers for the family of Marion Reed. Missing my sweet Nana so very much, but what a comfort to know that she is in the presence of Jesus, and those who have gone before. She was the ultimate example of how a Christian woman should be. I will cherish the memories I have of this sweet lady forever. Loved her laugh, her singing, her love for the Lord, her love for her family and others, and her desire to see all come to Christ. Love you Nana!